If you’re looking for a new home and have, or are planning to have, kids than you know the importance of considering the school district as part of the process. At least for my family, it was a top priority. 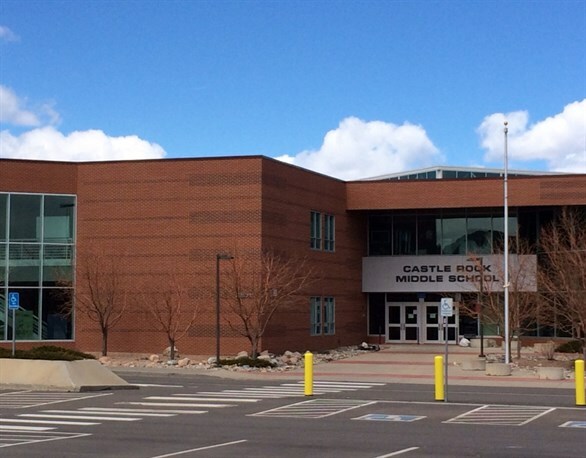 The Douglas County school district is one of the best school districts in Colorado. How do you not like the sound of that? With a total of 6 Douglas County Schools: four elementary schools, a middle school and high school, there’s a spot for your kid no matter their age in The Meadows. We have three boys (4, 9, 12) and I’m a parent that works from home. Let me tell you, having Douglas County schools for each kid in the neighborhood (close to home) is a huge bonus. In addition to convenient locations and ton of extracurricular activities, these Douglas County schools bring learning to a different level for the kids and the parents. Prior to living in Douglas County, my kids were in another Colorado school district and the differences are mind-blowing. I can really see the passion the teachers have for teaching and how much they care about the students. At times my 9 year old needs a little more attention than other students; the teachers go above and beyond to make sure that he is on task and up to speed with the rest of the class. Our children have been enrolled in these Douglas County schools for three years now and we’ve come to know the teachers and administration well. As parents, it is very comforting knowing that your child’s teacher will reach out to you if there is a problem or if they simply notice a change in your child’s behavior or performance. I can’t speak for all districts, but this was a big surprise for us. Even my son’s Castle Rock Middle school teachers reach out to us on occasion. Now, I know you’re probably thinking, “If you hear from your child’s teacher, it’s not usually good news.” But at these Douglas County schools, we hear about the good news as well. Having a teacher that cares about your kid is a big deal. In our other school district we only heard from teachers during conferences, now we know what’s happening almost weekly. It’s comforting knowing that no matter what age your child is, there’s a good school and great teachers in The Meadows that will allow them to thrive and that you’ll always know what’s going with your child.